Especially with the economic problems that are taking place today, there are a lot of people who are struggling with their credit. If you’re one of them and your credit has been damaged, there are ways that you can rebuild it – and doing it properly will help you establish better credit faster. The first step is to get a credit card or an auto loan if you don’t have one. If you have a very low credit score that might be difficult to do and you might be required to get a secured card. These aren’t the best choice, but they can help you establish some credit until you can get a more ‘standard’ credit card. Just be sure not to run a balance, because the interest rates on cards for people with bad credit are often extremely high. Then you have to build better credit habits overall. You can’t keep doing the same kinds of things that got you into credit trouble in the first place, or you’ll just be right back into the same trouble. 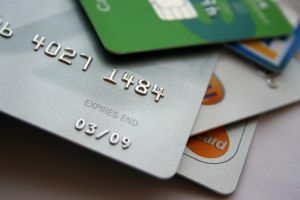 People who charge what they really can’t afford and make no more than the minimum payment are finding that they are struggling more and more, so make sure that you only use your credit card when you really need it, and that you pay things off when the bill comes in. If you can’t always do that, then pay as much as possible instead of only the minimum. These things will all help improve your credit score.